I've said before on my blog that I don't get too excited about hair products so I rarely review them. I style my hair almost the same way every day, so I rarely seek out new things to test or try. However, over the past few months, that has begun to change and I was interested in testing out more and more shampoos, conditioners and styling products. I've rounded up the ones that I enjoyed the most for this post. 1. 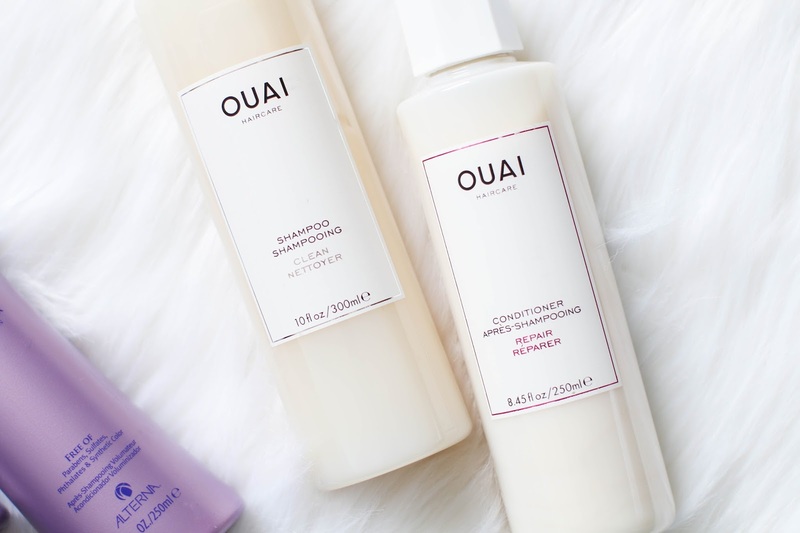 Ouai Clean Shampoo and Repair Conditioner - To say this new haircare brand is buzzing is an understatement. But I wanted to wait for some of the initial launch hype to die down before trying it, and see what products emerged as the must-haves. Surprisingly, the reviews were positive for the entire range so I went with a shampoo and conditioner for my first test. After only 3 days of using this together, I was already loving my hair. The Clean Shampoo does a fantastic job of really cleaning my hair and removing any buildup without stripping it. And the Repair Conditioner works wonders on my ends! I figured this would be a duo that I would use sporadically to treat my hair, but I find that my hair responds best with using regularly. And the biggest result when using this combo is my hair stays cleaner and holds its style for much longer. 2. 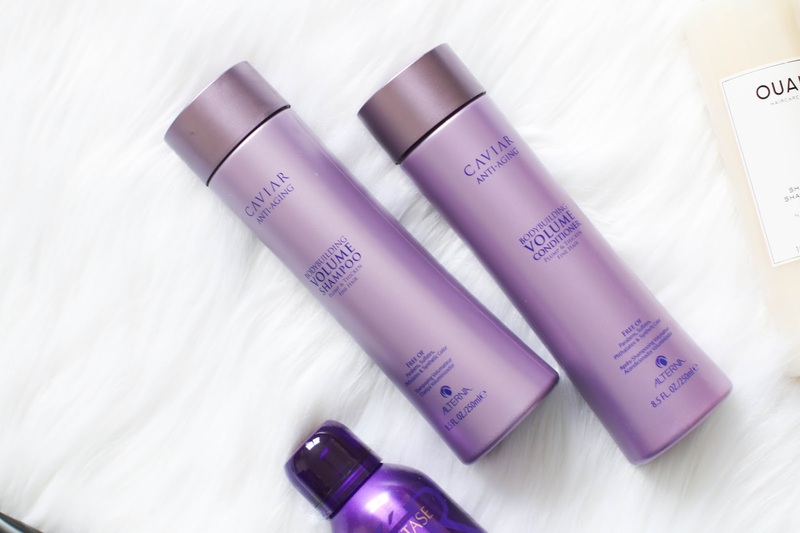 Alterna Caviar Volume Shampoo and Conditioner - I have a lot of hair but it is very fine. And with an oily scalp, I need all the volume I can get. I decided to just dive right in with these when first trying them by bringing them on my recent 4 week road trip. I had just received them in the mail and packed them without ever trying and hoped for the best. By the end of my trip, I was in love with both! My hair didn't double in volume (don't I wish) but it was much bouncier and fuller than normal. I didn't struggle with it falling flat on day 2 or 3, and my ends were incredibly soft. I'm now almost 3/4 of the way through each bottle because it consistently keeps my hair looking good. 3. 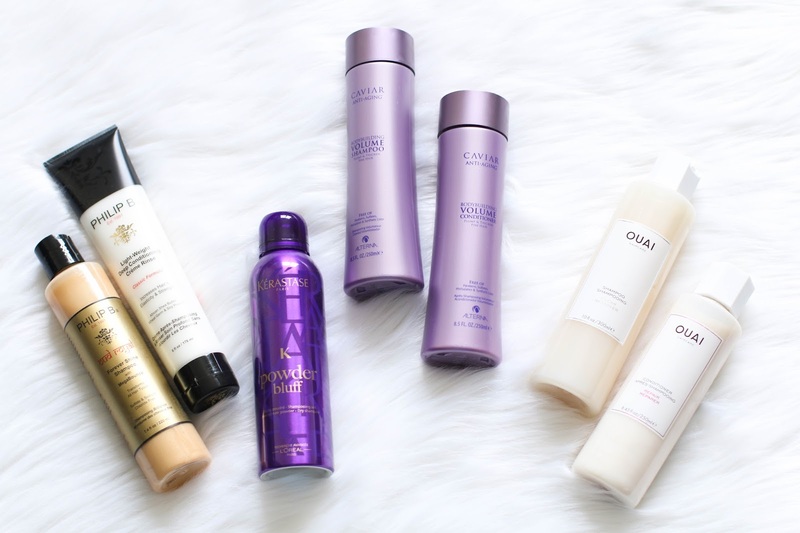 Philip B Forever Shine Shampoo and Light-weight Deep Conditioning Rinse - While the Ouai and Alterna formulas are ones I use on a regular basis, I find that this Philip B Shampoo and Conditioner are the perfect once a week treatments. The Forever Shine Shampoo makes my hair glossy yet not greasy, and the Creme Rinse is amazing at helping me fight frizz. I notice after using both together that my hair looks smoother and doesn't curl up or frizz (as much - I still deal with some UGH). 4. 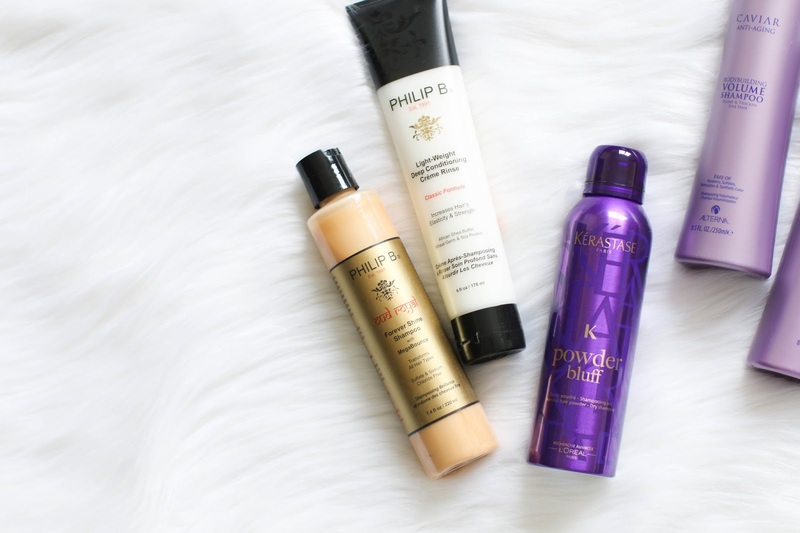 Kerastase Powder Bluff - My disdain for dry shampoos and how much dirtier my hair feels has been voiced on this blog many times over. Leave it to Kerastase to completely change the game for me. This dry shampoo is not only effective at helping my hair remain less oily as the week goes on, but it is the BEST smelling hair item I own in my entire collection of products. BEST. I like to use it in the evening before going to bed because I find my hair wakes up less oily, but because of the amazing scent I have begun using it during the day simply to have my hair smell good. I have had strangers stop and ask me what is on my hair because the scent is so intoxicating. If they made this scent for the body, I would never be without a bottle. (please do this Kerastase! LOL). I'm a big anti-dry shampoo person too - it never makes my hair feel nicer at all, eurgh! I love the sound of the OUAI products. I've been reaching for John Frieda's Frizz Ease shampoo recently - I can't get enough of it!